Teaching synonyms is such an important skill for little learners. When students learn how to use them effectively, they’ll be able to understand what they hear and read even better. They’ll also expand their vocabulary with new words so they aren’t using the same ones in their writing over and over. 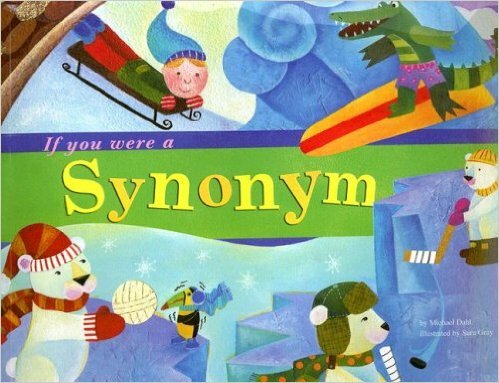 One of my go-to resources to use is this book by Michael Dahl called If You Were a Synonym (Word Fun) . 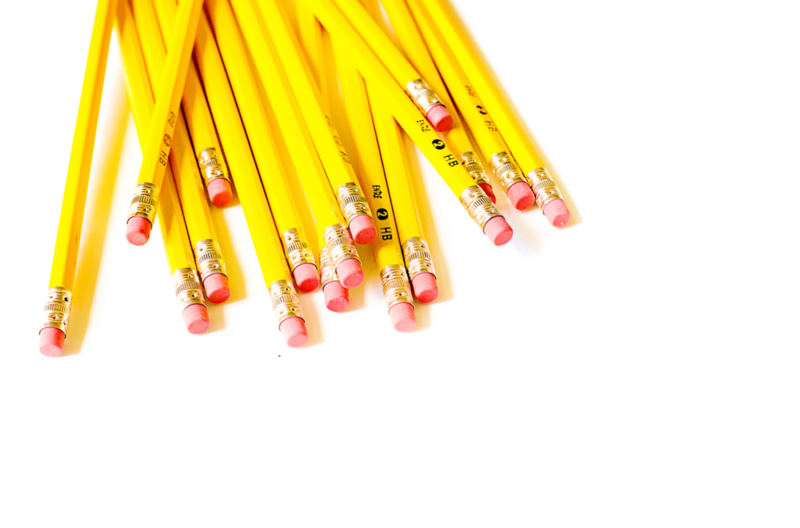 It’s filled with tons of examples of synonyms your students will love! 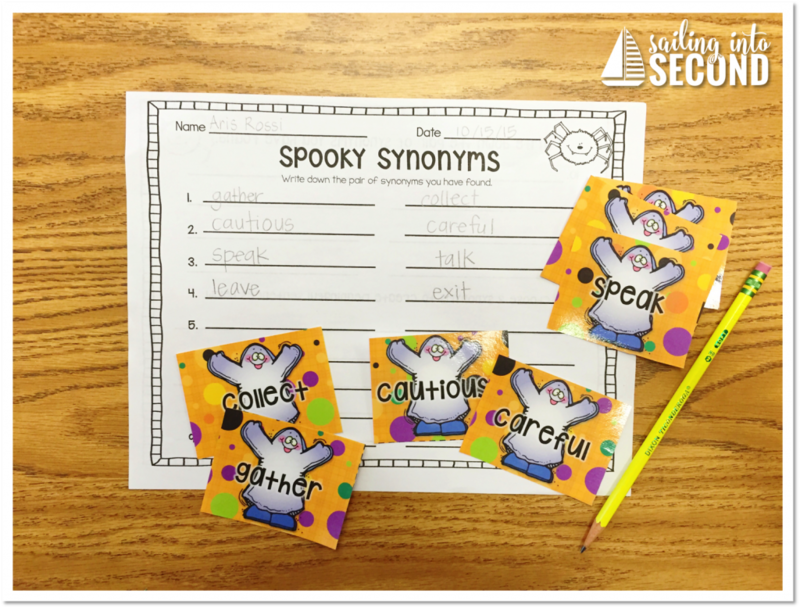 Another resource is my Spooky Synonyms center I use during literacy centers. During this time, I work with small groups to ensure that they understand and can use synonyms in their oral language and writing. 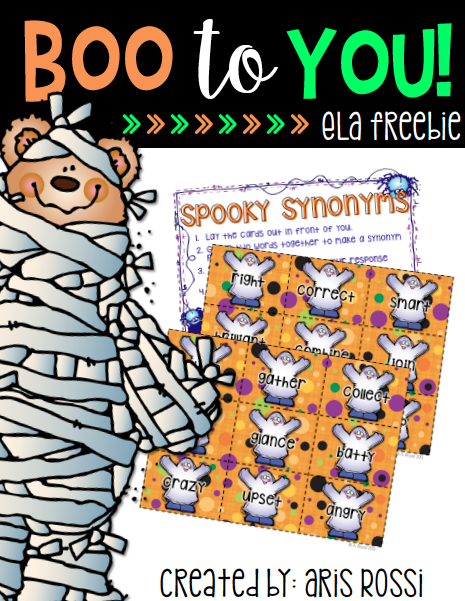 This matching game is the perfect blend of learning and Halloween fun! Isn’t the clip art darling? 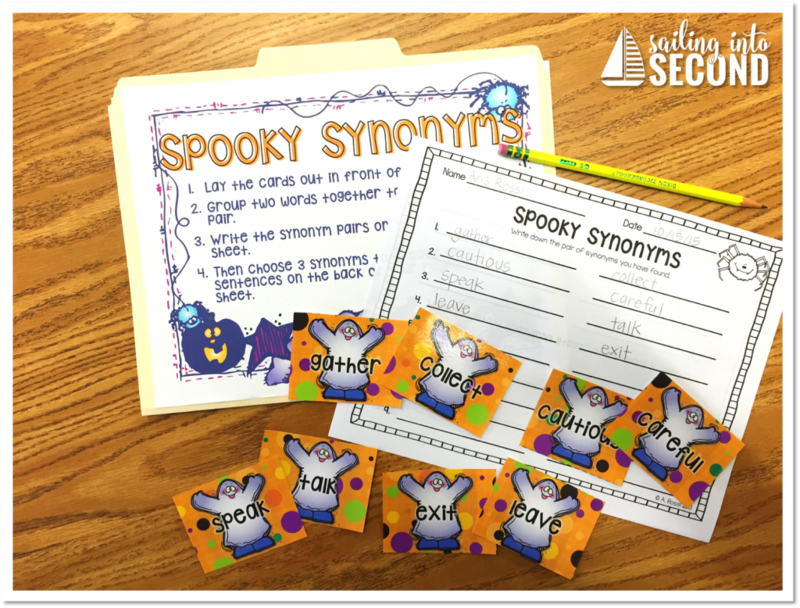 I used DJ Inkers Spook-tacular Smiles Clip Art to create these meaningful yet fun centers for my kids! One activity that gets your students moving and learning is a synonym partner match. 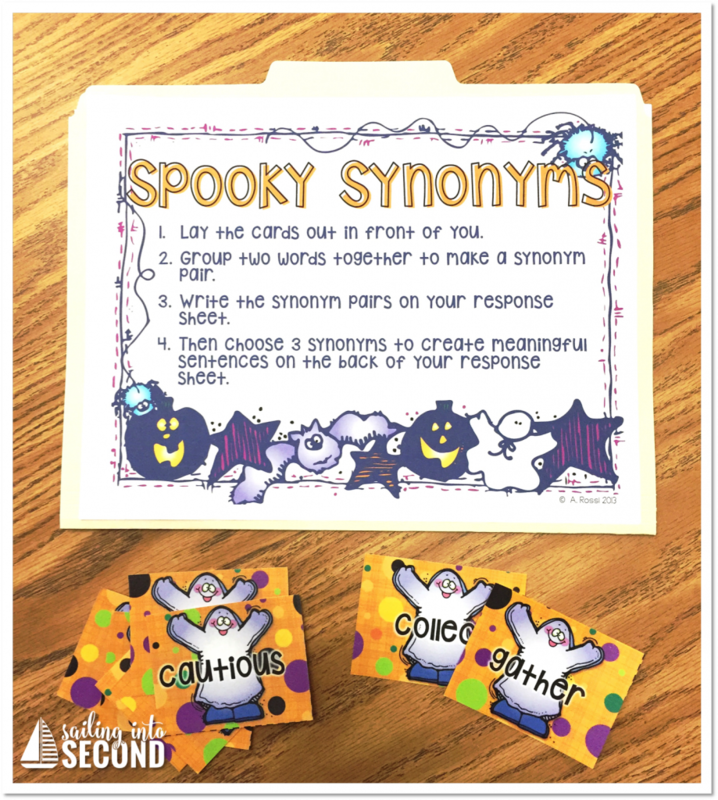 Each student gets a cute ghost card and they have to find the classmate who has the matching synonym card. When everyone has found their synonym partner, have them read their synonyms to the group/class. They LOVE playing this game…mostly because they think they’re just having fun roaming around the room. But secretly we know they’re learning too. ;) Small group time is such an important time for reteaching those tricky concepts. 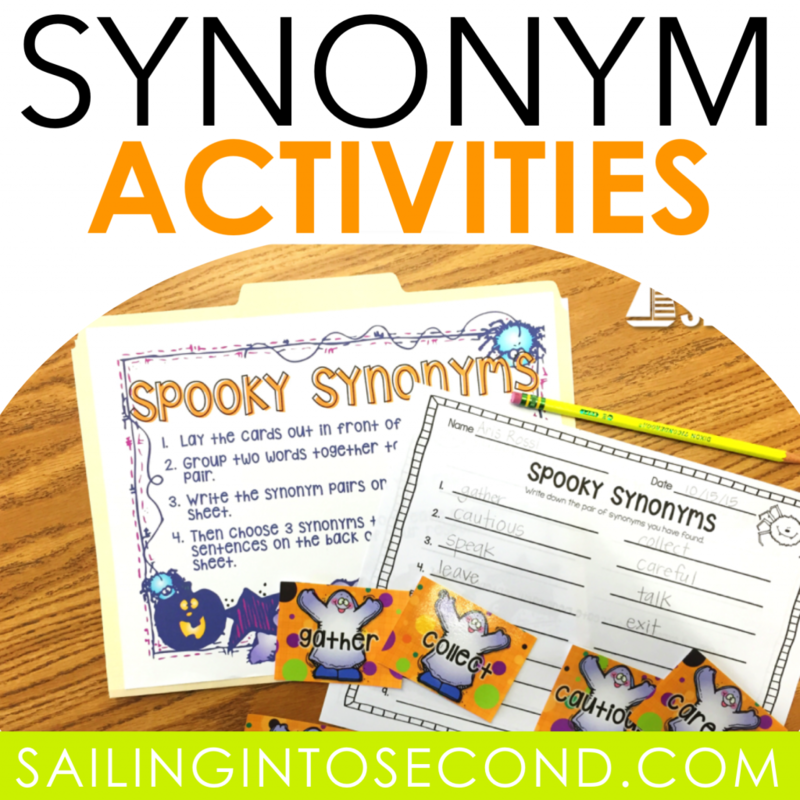 I pull these Spooky Synonyms out during that time so my kids get more hand-on practice with synonyms. They love working with partners to find the synonym matches! You could also use the synonym cards as a quick way to assess your students during small group too. Want to use this activity in your classroom? Easy! Just click on the image below to download a copy of this adorable activity for FREE! And guess what? 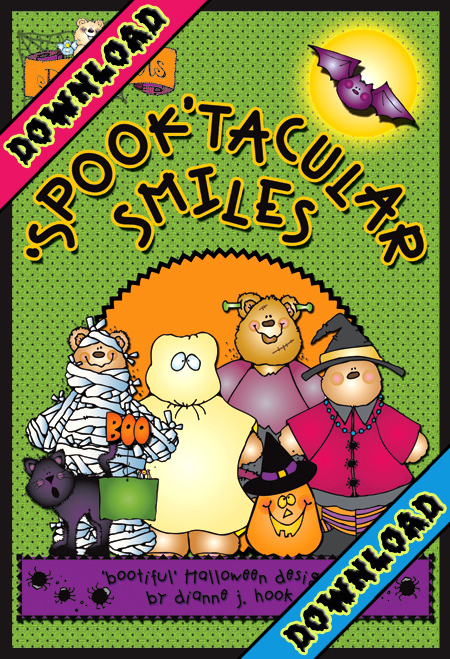 My friends at DJ Inkers and I teamed up to give away one set of their Spook-Tacular Smiles CD! All you have to do is leave a comment below with your name and email, and I’ll pick a winner Tuesday night! I just started getting into making my own things and using clip art! This would be so great to have for this brand new teacher!! I’m new to 2nd and need this in my classroom! I love DJ Inkers Clip Art! This would be an awesome contest to win. I’m sooooo glad I saw this! We just started synonyms! Heading over to grab this goodness and cross my fingers that I win! How cute is this giveaway!! I couldn’t agree more with what you’re saying about the importance of synonyms in the classroom! Thank you for the opportunity to win – I know someone who could really use (and would love) this prize!